Swarovski Optik — the renowned European premium sports optic manufacturer — has announced a re-vamp of its venerable SLC (Slim-Light-Compact) binocular range. The SLC line received a major upgrade to its 42mm models back in 2010 with the release of the SLC 42 HD. Available in both 10×42 and 8×42 configurations, the SLC HD is my binocular of choice, and is an outstanding all-round binocular for birding and wildlife observation (see my review of the 10×42 here). Details are pretty sketchy for now on the internal / optical changes to these new SLC models. From the photographs it looks like the 42mm model is almost identical in shape / form factor to the SLC 42 HD — with subtle updates to the external styling. It looks like the 56mm models are brought bang up-to-date with a complete re-design to bring them in line with their 42mm siblings. The new SLC will be available from October 2013 in 8×42, 10×42, 8×56, 10×56 and 15×56 configurations. 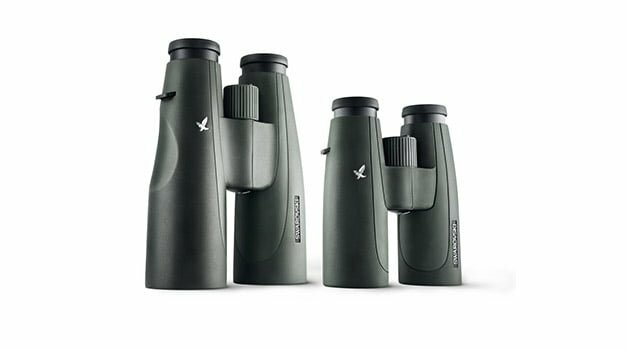 It will be interesting to discover just what magic the Swarovski engineers have weaved into this update of this, it’s long-time workhorse binocular line — and perhaps to get hold of a pair to review here on the Ireland’s Wildlife website in due course. Check out the Swarovski Optik Nature blog for more details… or at least, as much as we have for now. Great post. I am familiar with Swarovski Optik and know very well its functions and features. Currently it is the most demanding optic among the users. It is smaller and lighter in weight and offers large field of view and great eye relief. I think the latest of re-vamp SLC (Slim-Light-Compact) binocular range is very good model and available in both 10×42 and 8×42 configurations. Definitely it is an outstanding optic for birding and nature viewing. It is good news that it will available in five configuration from October. Thanks for this sharing and innovative post. Yes… I use the current SLC HD 10×42 as my binocular of choice… and for me it’s one of the finest birding and wildlife optics on the market today. I prefer the SLC design to the elongated double-hinge of the ELs. It will be interesting to see what, if any, upgrades there are to the new 42mm SLC (other than slightly updated livery). It’s hard to imagine them being improved much.